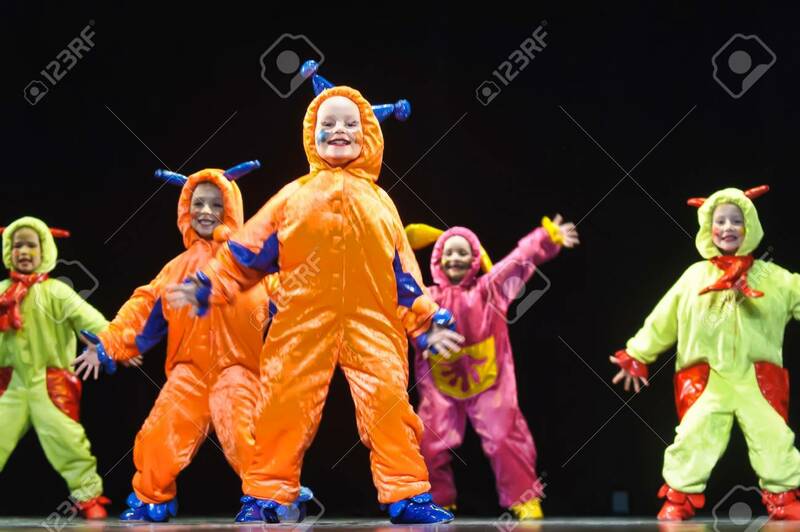 Children In Funny Colored Overalls Aliens Dancing On Stage, The Performance Of Children's Dancing Collectives, St. Petersburg, Russia. Photo Taken On: May 26Th, 2012 免版權照片，圖片，畫像及圖片庫. Image 89897794.